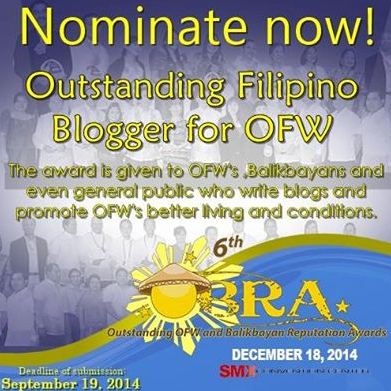 This coming December 18, 2014, Exlink Events will be having the 6th OBRA (OUTSTANDING OFW AND BALIKBAYAN REPUTATION AWARD). I believe that you will nominate someone for OBRA. Please find the attached files where you can find more details. 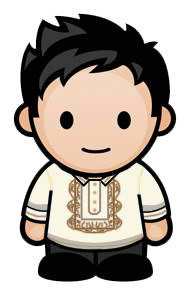 The event will be held at SMX Convention Center, Pasay City. Thank you very much and looking forward to hear from you soon! • To develop and advance the value of EXCELLENCE in the personal & professional aspects of every Exlinker. • To develop and advance QUALITY and GLOBALLY COMPETITIVE PERFORMANCE among Filipinos in the fields of expos, event management, exhibits, convention, integrated marketing communications and marketing promotions. • To uplift the quality of life of the associates, clients, partners, and Filipinos through the organization’s core competence. To be valued as a vital global business partner and market link by providing excellent event marketing , event management solutions & services and sales performance for the stakeholders, associates, industry partners, support groups, sponsors and clients.